Why is it so difficult to get the diagnosis of respiratory failure to match the clinical indicators in the medical record? If patients are suffering from respiratory distress, why does their severity of illness often fail to reflect the care they require? What can your CDI program do to help reduce respiratory failure denials and ensure that the diagnosis can be clinically validated? Join Richard Pinson, MD, FACP, CCS, and Cynthia Tang, RHIA, CCS, principals of Pinson & Tang LLC and the acclaimed authors of the CDI Pocket Guide and the Outpatient CDI Pocket Guide: Focusing on HCCs, for an in-depth look at one of the CDI profession’s most problematic diagnostic challenges. You’ll walk away with the tools necessary to create more effective and compliant queries, prevent or fight claim denials, and help address your physician education needs. 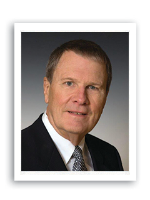 Richard Pinson, MD, FACP, CCS, is a physician, educator, and healthcare consultant. He practiced internal medicine and emergency medicine for 25 years, and has trained thousands of physicians and other healthcare professionals nationwide. He is the co-author of the best-selling authoritative CDI Pocket Guide, Outpatient CDI Pocket Guide: Focusing on HCCs, and the CDI for the Clinician® micro-learning training for physicians. He also writes the monthly Coding Corner column for the American College of Physicians’ ACP Hospitalist magazine. Cynthia Tang, RHIA, CCS, is a health information management, coding, and CDI consultant. Tang has over 25 years of consulting experience in providing assessment, implementation, and training services for more than 250 healthcare facilities. She is the co-author of the best-selling authoritative CDI Pocket Guide, Outpatient CDI Pocket Guide: Focusing on HCCs, and the CDI for the Clinician® micro-learning training for physicians.